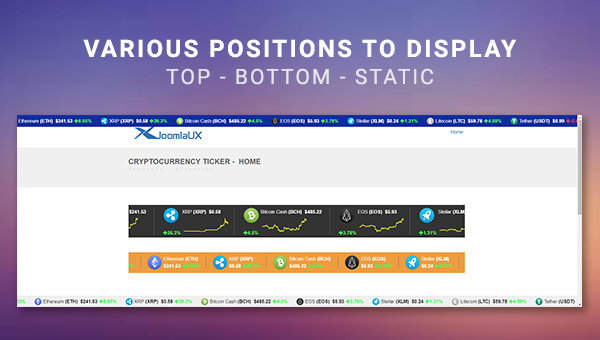 JUX Cryptocurrency Ticker is a complete solution for nicely displaying real-time prices, changes, market cap, volume, coin charts, and updates of more than 1500 cryptocurrencies in multi-styles on your Joomla site. 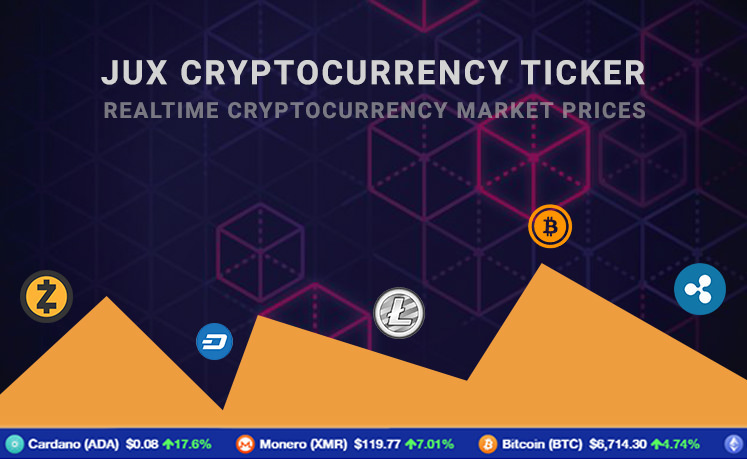 The fascinating module quickly grabs data from major cryptocurrencies exchanges using coincap.io APIs to show current market prices. 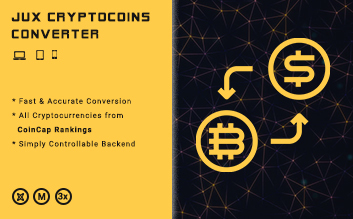 Users easily get essential information on every type of cryptocurrency in a beautiful tooltip that offered by this cryptocurrency ticker module. 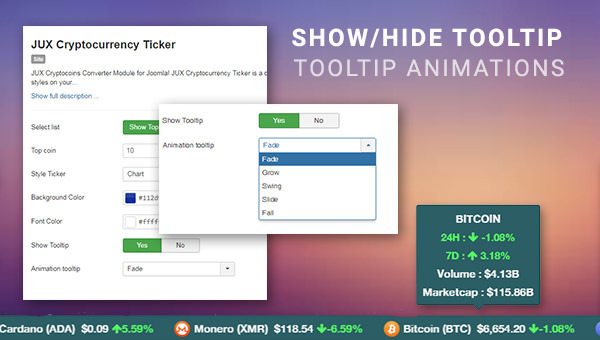 Furthermore, you can get lots of options in Tooltip animation such as Fade, Swing, Slide and so on. 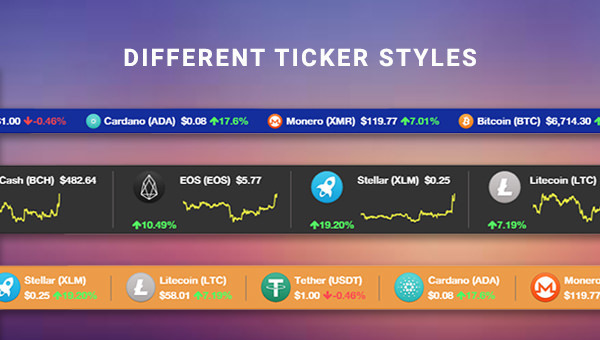 The cryptocurrency ticker module allows users easily and quickly choose any type of top cryptocurrencies to show up on their ticker. 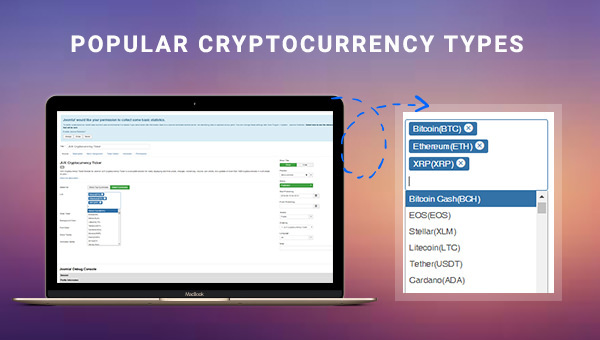 Here are all core features what put the Joomla module above others.